Extractions: In the orchestras of Western art music, there are four main groups of instruments: strings, percussion, brass, and woodwinds. Woodwinds often play together with all the other instruments of the orchestra, but they also get to play solos in the orchestra, unlike most of the string players. Concert bands have woodwinds, brass, and percussion only, no strings. Most woodwind instruments are tubes that are (or were long ago) made from wood, and players blow their "wind," or breath, into them to make sounds. Some woodwinds are conical, or cone-shapedthe tube starts small and gets bigger along the way to the end. Other woodwinds are cylindrical, or cylinder-shapedthe size of the tube stays about the same from one end to the other, like a paper-towel tube. People have enjoyed playing the flute for at least 5,000 years. Most modern flutes are made of metal because metal helps them to sound louder in todays big concert halls. Sound is produced on a flute the same way it is on a whistle. When the players breath hits the hole on the top of the mouthpiece of the flute, the air stream splits in two and makes a whistling sound. Flute players need to be able to hold a lot of air in their lungs. They also need to control the escape of all that air. This is called "breath control." It takes good breath control to play the flute. 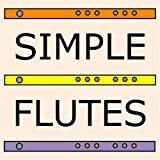 Comprehensive resource of standard and alternate fingerings, including trill, tremolo, and flattement for common woodwind instruments, tin whistle, uillean pipes, shakuhachi, and sarrusophone. Extractions: Editor's Note: Edmund Nielsen, who has been repairing woodwind instruments for 30 years, operates his own woodwind repair business in Chicago. He is also currently first oboist of the Elmhurst (Illinois) Symphony Orchestra. This article is reprinted from the January issue of the "Instrumentalist" with the kind of permission of the author and the publisher. Cracks in woodwind instruments are caused by neglect. A strong statement? A statement scarcely calculated to win friends? True. But it is based on over 30 years of repair experience. We all worry about those cracks that develop in the upper half of the upper sections of oboes, English horns and clarinets. Over the years, I have repeatedly analyzed this problem and have come to the conclusion that this cracking is the result of allowing the inner fibers of the wood at the bore to expand suddenly and excessively while the outer wood surfaces are in a contracted condition. That we are dealing with an extremely powerful force is demonstrated by the common examples that we can see around us. Who has not seen a sidewalk or a street that has cracked as a result of tree roots which have expanded? Each individual root fiber may be very minute, but when it expands and adds to the stress of the fiber next to it the resultant force is enough to cause the pavement to crack. An even more common example is the way that many wooden doors and windows stick in damp humid weather, but move freely when drier weather returns. Extractions: Back to Historical Woodwind Index As with recorders, there are virtually no surviving woodwind instruments from prior to the sixteenth century; modern makers have been most ingenious in creating medieval instruments by extrapolating backwards from later renaissance instruments, incorporating European and folk instrument influences, and using depictions of instruments in paintings and wood and stone carvings as a point of departure. John Hanchet has created a set of five medieval shawms which are smaller and quieter in tone than the later, large bore instruments of the renaissance. They are also narrower in bore and a good deal easier to play than the later shawms. They are an excellent choice for the beginning reed player. We offer a variety of medieval woodwind instruments made by James Furner: gemshorns made from African oxhorn in five sizes, bone flutes, and horn cornetts. Whether windcap instruments per se Back to Top of Page In the sixteenth century, instrument makers developed large families of wind instruments from the sparser medieval instrumentarium; most instruments were made in four to eight different sizes and pitches. The taste of the period dictated the performance of music on contrasting choirs of like instruments, as well as in the mixed ensembles more common in the middle ages and in later periods. The palette of wind instrument colors was far more extensive in the sixteenth and early seventeenth centuries than at any other time in music history. Transverse flutes, of straight cylindrical bore with six open tone holes, were commonly used in alto, tenor, and bass sizes, although most modern makers provide a soprano size as well. Their simple, open sound contrasts well with renaissance recorder tone as well as with the many reed instruments. How Do woodwind instruments Work? Sound. First something about sound. woodwind instruments. Some of the woodwinds are shown in the picture at right. Woodwind instrument. From Wikipedia, the free encyclopedia. woodwind instruments were originally made of wood, as the word woodwind implies. Timothy Reichard's collection of standard and alternate fingerings including trill, tremolo, and flattement for orchestral woodwind instruments as well as tin whistle, uillean pipes, shakuhachi, charanga flute and sarrusophone. Woodwind instrument. (Redirected from Woodwind). woodwind instruments were originally made of wood, as the word woodwind implies. Offers advice, repair, service, and overhaul of all woodwind instruments, with some for sale. Includes details of craftmanship, and history of workshop. Extractions: Contact us... Welcome Follow the links via the navigation bar to your own instrument to find out about the kind of work I do, as well as tips on care of instruments and links to other related sites. In 1999 we moved to Devon, which involved the conversion of a blacksmiths forge into a workshop. Restoration work, particularly of instruments from the 18th & 19th centuries, is increasing all the time. These jobs I usually like to take plenty of time over. Sometimes there is no choice if I have to search for materials, but even then I tend to allow plenty of "thinking time" for each job. I also undertake custom work on all instruments, which includes the fitting of specialist thumbrests on clarinets, keywok extensions and other modifications to help people with injuries or disbalities to play an instrument. With an interest in both wind instruments and engineering, it seemed logical for me to study the making and repairing of them. To pursue this interest, I joined the most prestigious course in the UK, at Newark Technical College in 1986. From Newark I went to work full time in a specialist woodwind shop, setting up new instruments, repairing customers instruments and preparing used instruments for sale. woodwind instruments, such as clarinet, bassoon, flute, and saxophone. Global Servers. Advertisement. woodwind instruments. Guide picks. Resources related to woodwind instruments (clarinet, flute, bassoon, oboe, saxophone, etc.). woodwind instruments. Our current understanding of woodwind instrument acoustic behavior owes much to the work of Arthur Benade, John Backus, and John Coltman. Ontario, Canada Custom work, repair, lacquering of brass and woodwind instruments. Extractions: Specialists in Brass and Woodwind Musical Instrument Repair and Rebuilding Trumpets, trombones, horns, tubas, flutes, clarinets, oboes, bassoons, saxophones handled by professional rebuilders and musicians. We repair all brands and makes: Bach, Selmer, Yamaha, Conn, King, Holton.... Instruments can be reconditioned to look and play just like new! We can refinish any brass instrument with silver plate, gold plate, or clear lacquer at a fraction of the cost of a new one. Custom work, anything goes. Complete valve jobs! No problem. If your valves are leaking we can replate them oversized, hone out the casings and externally hone down the pistons to 1/1000th of an inch! All saxophones can be rebuilt from just a repad job, to complete disassemble, de-denting and refinishing to look like new! We do all repairs to woodwinds too. New keys made, repairing cracks and rebuilding tenons are our specialty. All work is professional and guaranteed. Purchase rebuilt brass and woodwind instruments... Not only do repair, rebuild and do custom work, but we buy and sell used instruments too. Do you have an old trumpet that you want to sell? Let us know, and we'll gladly quote you. Extractions: Downloads ... Professional Development Enter your email address for FREE weekly teaching tips! Home Teacher Resources Subject Matter Music ... Clarinet Study Guide - "This Clarinetist's Study Guide outlines seven levels of study. It can be used to identify a student's level of accomplishment and provides a list of publications for study and performance at each level." Gemeinhardt Web Notes - "Home of the world's largest exclusive manufacturer of fine flutes and piccolos." Japanese Flute - The primary focus is discussion. Michael D. Moors Clarinet Page - Offers a great list of Clarinet links. Recorder Home Page - "Provides links to articles, lists, catalogues and databases concerning all aspects of the recorder worldwide. It is an ideal springboard for players, students, teachers and researchers alike." Saxophonist's Study Guide - "An outline of seven performance levels with goals and repertoire for each level." Click here.). Answers, EnchantedLearning.com Label woodwind instruments in English Label the woodwinds in English using the words below. English Activities.